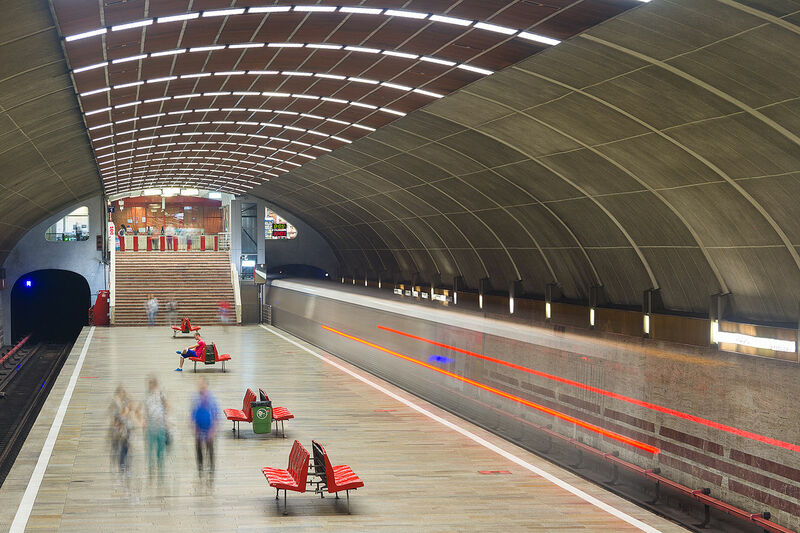 Bucharest, the city where I was born, grew up and currently reside, has a medium scale subway system. One of the stranger things people complain about is the bad station names. Perennial favorites are “Precision”, “The Flatting Mill”, “Peace”, “Heroes”, “The Polytechnic”, “Writers”, “Horizon”, “Modern Times”, “Defenders Of The Country”, “Aviators”, “The Youth”, etc. Image by Mliu92, distributed under a CC BY-SA 4.0 license. However, it’s hard for somebody who isn’t from Romania or from a former eastern bloc country to grasp just what’s wrong with them. The badness stems from the fact that they’re “communist sounding”. Which basically means that they’re abstract-ish nouns or verbs, usually related to industry, science or the parts of the past the party deemed “glorious”. Most of the times they are written in a very specific way as well, as if they were part of a larger congratulatory sentence. So the proper English translation would be “Precision” not as in “The precision of this device is 2 nanometers”, but rather “Dedicated to the precision”. Or “Dedicated to the heroes/aviators/the youth/writers/etc”. Titan looks very impressive as far as subway stations go. And it’s name isn’t that communist. Image by Mihai Petre, distributed under a CC BY-SA 3.0 license. 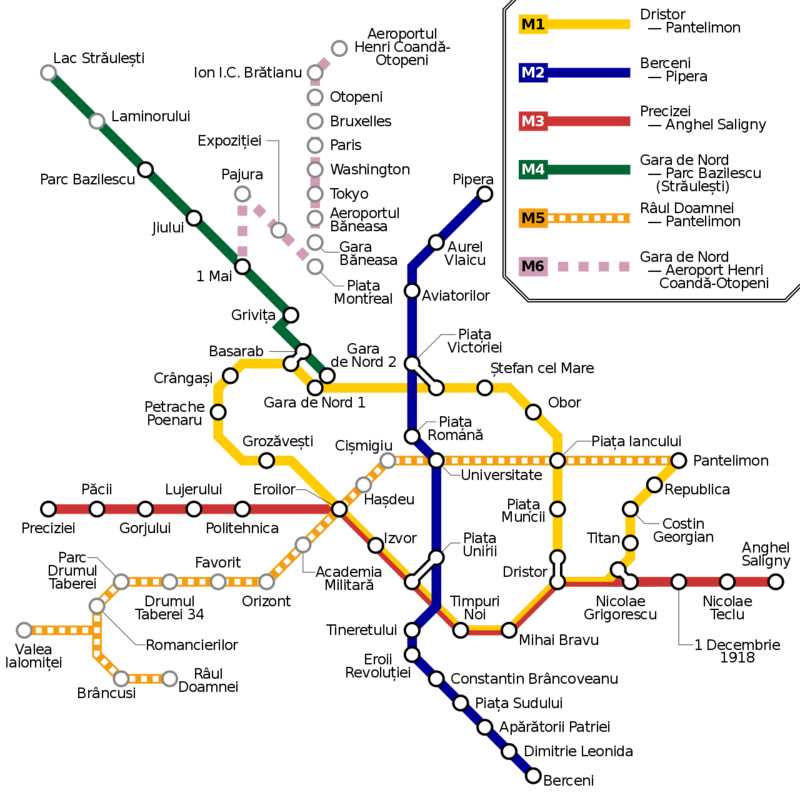 Now, most stations are named after the surrounding area they’re serving, so the criticism should be addressed at the city for having bad names. However, since it’s very hard to change city area or street names, and relatively easy to change subway station names, I think it’s fair to complain about the latter. And it’s been done before to some success. Before 2009, we also had “The Combine Harvester”, “The Army Of The People” and “Industries”. But while the latter two got decent new names, such as “Petrache Poenaru” (the inventor of the Fountain Pen), and “Lujerului” (a proper name of an area), respectively, “Industries” became “Precision”. To add insult to injury, “Laromet” (again a proper name of a company), became “The Flatting Mill”. Come to think of it, perhaps that’s not the most efficient way. Anyway, there’s no point to this post. Just a thing I wanted to write. So there you have it.